Truth be told I'm not really a joiner. 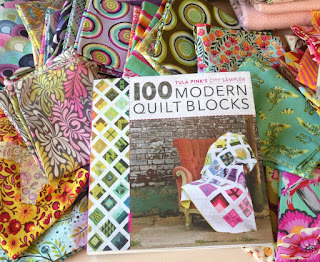 Swaps, sew-alongs and such really aren't my thing but when Instagram started lighting up with my friends joining #100Days100Blocks I thought this might be just the thing to jump-start my fall sewing. Anyone reading this probably already knows all the details but you can find out more from the fabulous hostesses, Sweet Little Pretties, Gnome Angel and Sunflower Stitcheries. 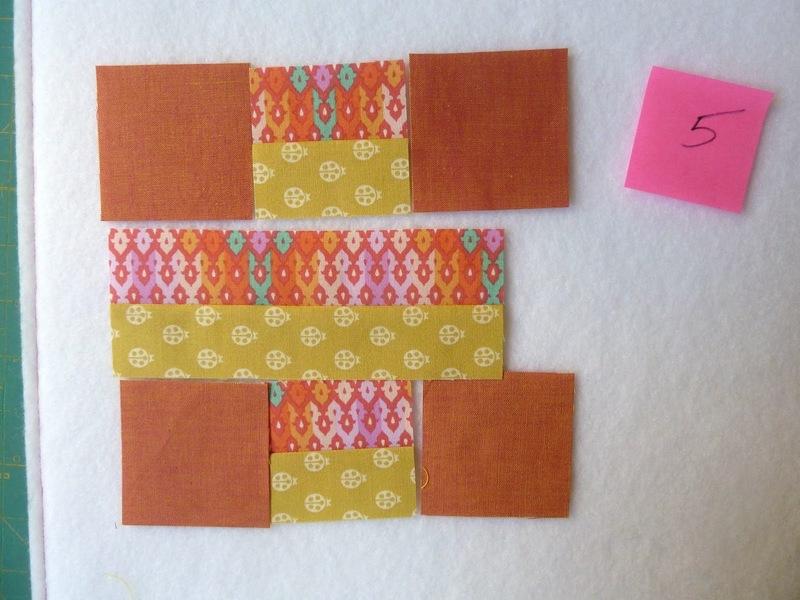 The challenge is to make all 100 blocks from Tula Pink's City Sampler book by Thanksgiving. 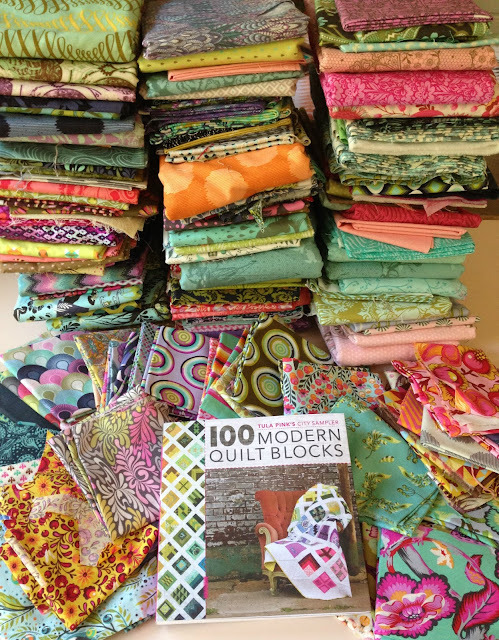 This is a perfect project for my carefully hoarded curated Tula stash but I'm also mixing in my beloved shot cottons and some other faves. For now I've been sticking somewhat to the colorations and fabrics in the book but I suspect that will evolve as I go. 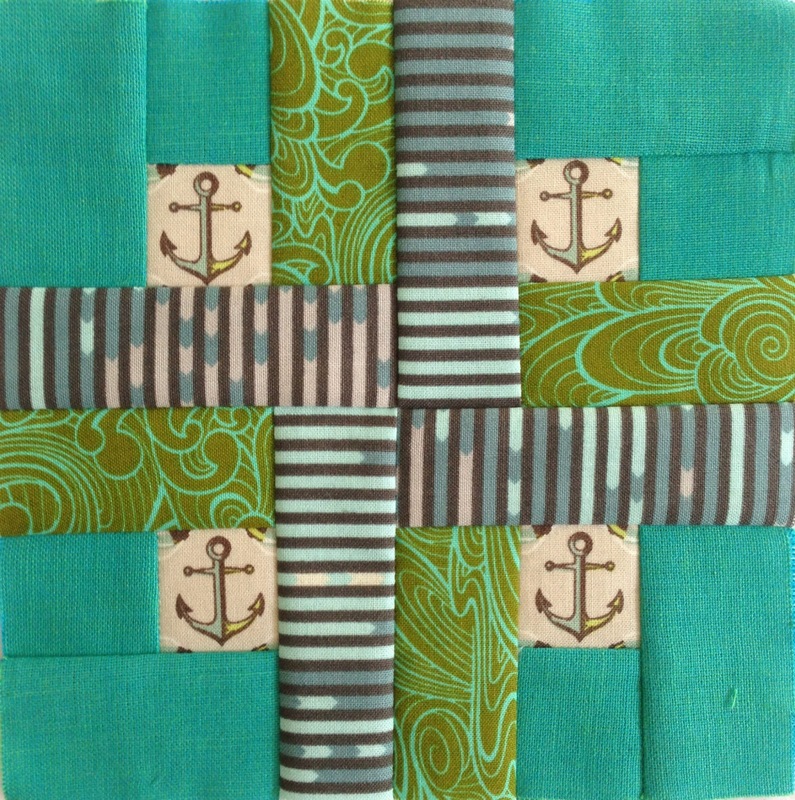 So far the blocks haven't been difficult but they are small, only 6" finished. There are lots of tiny pieces to cut so this is definitely the time to break out the revolving rotary mat if you have one! I've found it easier to strip piece some of the units before cutting them to size. I'm also eternally grateful for the Happy Zombie Block Buddies Aimee and I made on retreat. I hadn't used them much but they are perfect for keeping track of all these little pieces and staying organized. And here is the proverbial first step... Block 1. 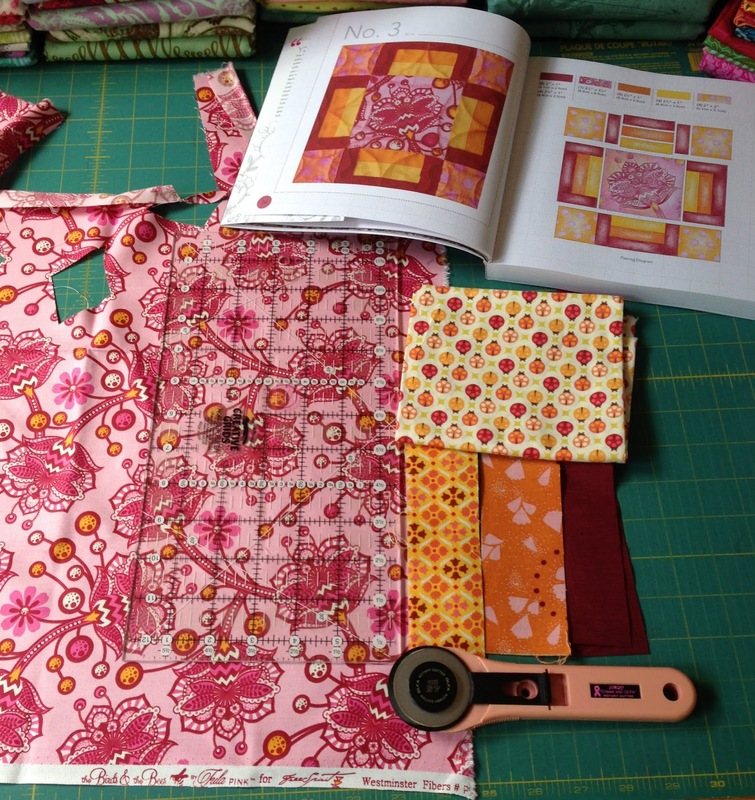 Do you prefer to quilt with a crowd or do your own thing? Bravo for taking on this challenge! I have made the 100 blocks with all Tula fabric and now I MUST assemble the quilt top! 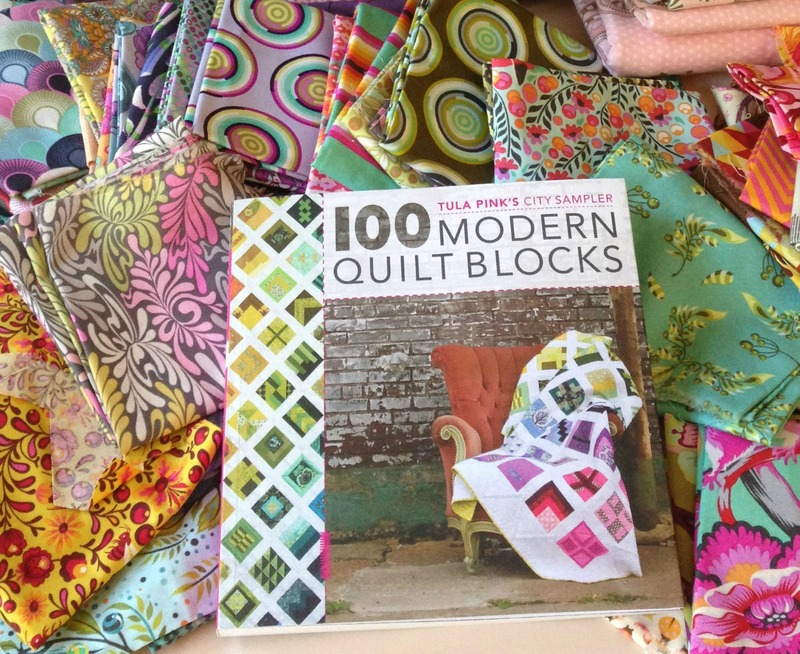 I generally do not like the pressure of quilting with a commitment. But somehow I have gotten sucked into the Splendid Sampler thing. 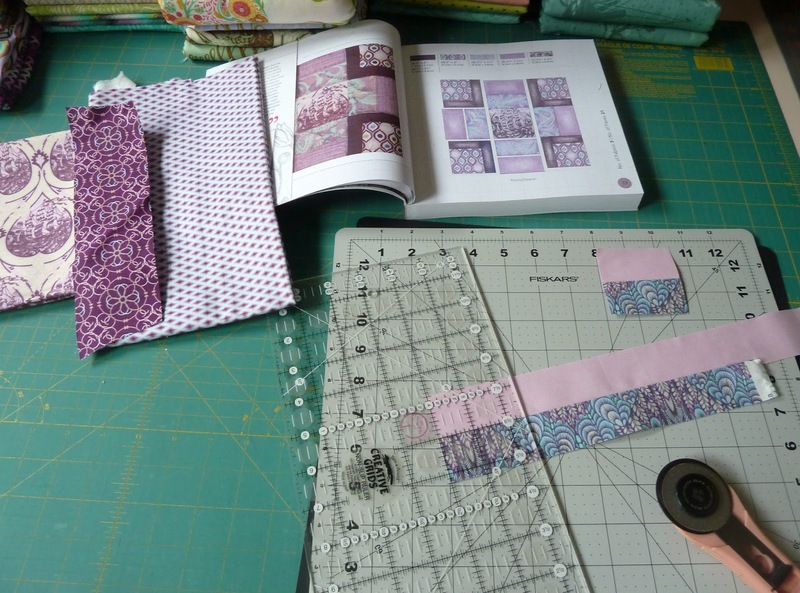 Way too many appliqué and embroidery blocks for me! I am going to try to stick with it though!